Robert Balotsky (B.M. Music Technology, 2012) a.k.a. Buku, it's clear that the Pittsburgh native and graduate of Duquesne University's Music Technology Program is a well-equipped architect of twisted, layered soundscapes. With a menacing grasp on sound design and music theory, Buku combines deceptively simple and emotive melodies; laden with resounding low-end and intricate drum patterns. With a love of drums rooted early in his childhood, his work reflects his passion for percussion laced with elements only a trained ear could produce. Buku's debut release, the ‘Janky' EP, sent a shotgun blast into the scene - quickly gaining support and full rotation by Diplo, who described Balotsky's production style as ‘where dubstep is going' at the brink of 2013. 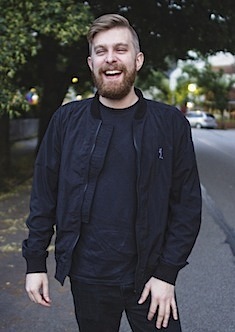 Following his break into the global perspective, the producer has been championed by a variety of noteworthy curators, including Pete Tong, Anna Lunoe & Zane Lowe via worldwide broadcasts on BBC Radio 1, Beats 1 Radio, as well as garnering the support of his peers for collaborations with the likes of Paper Diamond, G. Jones, Minnesota, Griz, Nick Catchdubs, Brillz, Tropkillaz & most recently, The Knocks. With strong support from the industry, Buku has seen releases on Spinnin' Records, OWSLA's NEST HQ, UKF's Pilot Records, as well as features on Atlantic Records, Mad Decent, Fool's Gold, Main Course, & inclusion within EA Sports' Madden '18 Soundtrack. The producer's powerhouse single, ‘Front To Back', further solidified his pole position in the scene - going viral in only a few weeks upon release, quickly climbing Spotify charts & garnering the attention of industry heavyweight, Bassnectar, who put his own touches on the tune for an official remix in early 2017. Not only a talented studio engineer, Buku brings the same energy & clinical precision of his productions to his live sets - paired with his boundless touring schedule, the producer has won over crowds worldwide from sold out headlining shows to massive festival sets at Lucky, Suwannee Hulaween, Lost Lands, Something Wonderful, Something Wicked, Imagine, and Sunset Music Festival. As a result of his workhorse mentality & penchant for meticulously crafted sound design, Buku has justifiably set the pace for producers rewriting the definition of modern dance music.